We are writing to you in your capacity as a Minister on the Food Regulation Forum. FSANZ has recommended for approval GM golden rice (A1138). We are asking you to request a review of the FSANZ A1138 approval, under section 21 of the FSANZ Act. FSANZ is failing in its legislated objective of the protection of public health and safety, providing adequate information to consumers and to prevent misleading and deceptive conduct. FSANZ cannot do an adequate assessment on nutritional safety of GM golden rice (A1138) due to the crop having wildly variable levels of b-carotene yields . This makes it impossible to ascertain levels of nutrients and anti-nutrients. New ‘omics’ testing can show in detail the intended and unintended changes brought about by GM breeding. It is essential these tests are required in any application . To not have these tests is anti-science. The GM rice contains three new proteins that have altered the rice endosperm so it can produce b-carotene, the pre-cursor to Vitamin A. The application provides inadequate analysis of the proteins in the crop. Surrogate proteins are examined, not those in the crop . Therefore, there is no data on whether the GM rice expressing these new proteins may cause allergic reactions or even anaphylaxis in children, immune compromised people or the elderly. The new proteins have some similarity to snake toxins. This concern has been dismissed by FSANZ saying they are not toxic when taken orally . No culture consumes snake toxins as food. FSANZ has made assumptions on the safety of GM rice (A1138). They have ignored the sizeable gaps in data, they have relied on unpublished papers, dismiss peer reviewed papers showing harm and make false statements on their website . A 90-day feeding trial of GM rice found significant changes, affecting the liver and kidneys, with immune system depression; the study could not verify the safety of the rice . This is one of many studies showing damage, especially to livers and kidneys, from GM crops . It is anti-scientific for FSANZ to maintain its stance that feeding trials are not required. The NSW Food Authority (NSWFA), SA Health, Victorian Government Departments of Health & Human Services and Economic Development, Jobs, Transport & Resources, New Zealand Ministry for Primary Industries (NZ MPI) and Slow Food Australia and members of the public raised various concerns around the policy of food fortification, labelling and the lack of public discussion of GM golden rice . Chronic health conditions are rising rapidly in Australia and the rest of the industrialized world. Doctors are beginning to link the food we eat, especially GMO food and their associated pesticides, to these illnesses. In her recent book “What’s making our children sick?” US Doctor Michelle Perro shows the connection between removing GMO food from the diet of her patients and an improvement, and in some cases a cure, for many illnesses including behavioural issues, mental health, allergies, gastro-intestinal problems and autism-spectrum disorder. These conditions cause as great deal of distress to families and individuals. The increasing costs of disease will be unsustainable for Australian health budgets. This approval for contamination purposes means that there will be no recall should there be contamination. 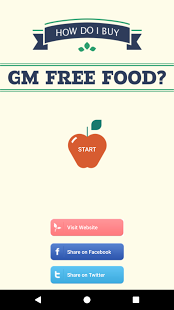 FSANZ does no monitoring or testing of imported products to see if there is GM contamination. This is unlike the EU where there is a Rapid Alert System for Food and Feed (RASFF) where detection of unauthorized and contaminated food available to the public . Therefore, if there is contamination of rice with levels that trigger labelling requirements the lack of testing imports will mean it will escape labelling even though it is required. A farmer-led group from the Philippines, MASIPAG, wrote to FSANZ asking that they deny the application . MASIPAG said an approval in Australia means the Philippines could automatically approve the GM rice with no democratic participation. They note that there are no studies comparing this rice with locally available Vitamin A rich food or with the government programme of supplements. Filipino farmers could be seduced into growing GM golden rice, rejecting traditional varieties which are nutritionally diverse and fulfil the needs for food security and human health. We thank you for your attention and would be most pleased to meet with you to discuss this issue further. We are depending on you in your role of ensuring Australia’s food supply is safe and healthy. Table 5 page 36. RC86 ranges from 9.09 to 14.12 when grown in a greenhouse. Table 25 p 82 Total carotenoids in milled rice is claimed to be 5.88 (there is an addition error they actually total 5.357). An integrated multi-omics analysis of the NK603 Roundup-tolerant GM maize reveals metabolism disturbances caused by the transformation process. Mesnage et al 2016. Nature, Scientific Reports. GMO myths and truths p142 What tests should GM crop developers do to ensure that they are safe to eat? Their behavior is anti-science. They state the 2012 Seralini study was retracted. They do not say that it has been republished. They also do not report that the retraction caused a scandal as it was engineered by Monsanto, the company whose GM corn and pesticide it studied. This involved a third-party PR campaign using scientists to target the journal, a petition and the journal’s editor being given a consulting job for Monsanto shortly before the retraction. 150 scientists condemned the retraction for allowing economic interests to influence scientific journals. “The Food Standards Code contains labelling requirements relating to genetically modified foods. Under these requirements food derived from Golden Rice would have to be labelled as ‘genetically modified’ if it contained novel DNA or novel protein or if it is listed in a section of the Code covering food with altered characteristics. FSANZ has determined that Golden Rice would contain novel DNA and novel protein, as well as an altered nutritional profile (contains β-carotene), and would be required to carry the mandatory statement ‘genetically modified’ on the package label. This requirement would apply to rice sold as a single ingredient food (e.g. a package of rice) and when the rice is used as an ingredient in another food (e.g. rice flour, rice milk). ‘Rice containing the GR2E event is not intended for commercialisation in Australia or New Zealand i.e. either for growing or intentional sale in the food supply. The Applicant has however applied for food approval because it is possible the rice could inadvertently enter the food supply via exports from countries that may supply significant quantities of milled2 rice to Australia or New Zealand’. Nonenzymatic β-Carotene Degradation in Provitamin A-Biofortified Crop Plants Schaub et al 2017. Beta-carotene decays with a half-life of 25 days. So, with GR2E starting concentration of 3.57ug/g (1 carrot = 4kg of cooked rice), after 75 days there's 0.45ug/g (1 carrot = 31kg of cooked rice).